My book for July is going to be this nameless, authorless, blurb-less book from Hodder. The idea is you #readwithoutprejudice, not knowing anything about it. I'd seen the hashtag on Twitter and had already googled it, but hadn't been able to find a confirmed author, or even if it was an established or new author. However, I worked out within the first few pages who it is - coincidentally, a person I follow on Twitter (and love) tweeted that they have a book coming out in the autumn (it may be their first book, it may be their 20th) and linked to an excerpt which I read the other day and funnily enough is in this book's first few pages! So I have very high hopes for this book. Obviously I now know the author and title, but I won't spoil the surprise for those people who weirdly like surprises! 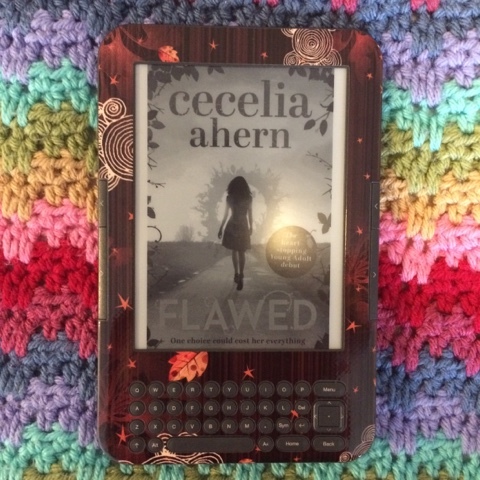 My book for June was Flawed* by Cecelia Ahern which I quite enjoyed - kept me occupied on a train journey into London. 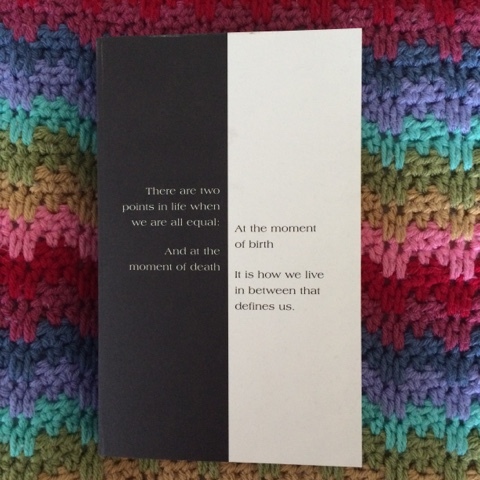 Celestine lives in a society where people can be declared Flawed, and branded as such, if they display any flaws in their character or behaviour. Celestine does something which to anyone else would seem helpful and kind, but in her society suggests she is Flawed. 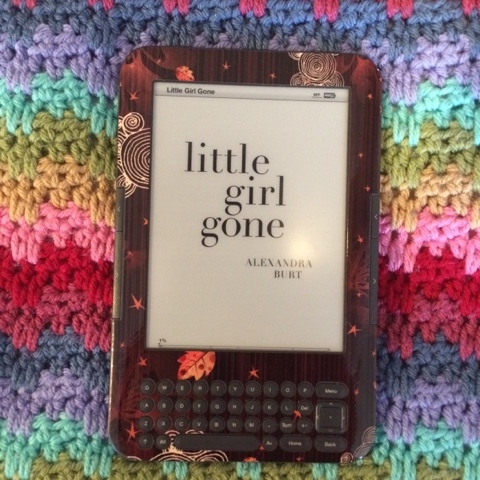 As YA books go, and dystopian books especially, it's probably not the best out there, but it's not one of the worst. Little Girl Gone* by Alexandra Burt sounded good (psychological thriller! Full of suspense! A must-read!) but sadly didn't do it for me. It's about 400pgs long and reading it on my Kindle the progress bar was barely progressing - it seemed to go on for ages. 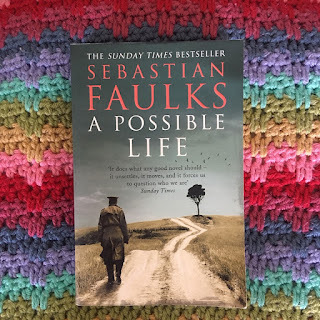 Estelle's baby goes missing, Estelle has no memory of what happened, people get involved to try and work it all out...I admit I skipped a lot of it and just read the last few chapters to tie it all up. 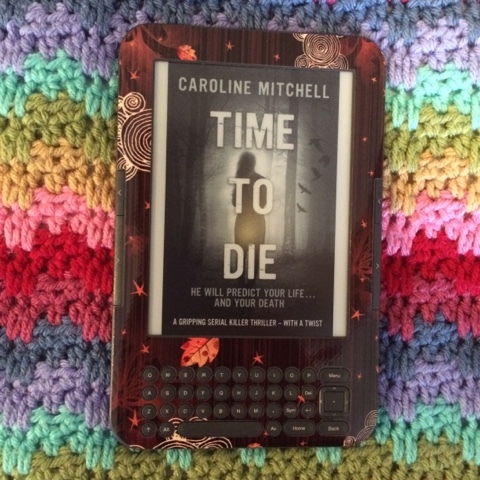 Time to Die by Caroline Mitchell is the second book about Detective Jennifer Knight, who investigates paranormal crime. I thought I could overlook this (I am a complete sceptic, yet also have an excellent imagination and therefore am not a great fan of supernatural stuff, especially when home alone at night) but it annoyed me and therefore detracted from the crime storyline. I must pay more attention to blurbs in the future! So thanks to a trip to London, I got a few books read this month, and made a slight dent in my NetGalley feedback. I've also made my way through a backlog of magazines, mainly Lonely Planet Traveller and National Geographic, plus I've cut out some patterns from Simply Crochet. The reading pile on my coffee table is looking less precarious now! *These books were provided by the publisher through NetGalley. I am so intrigued by the idea of that first one!! Sounds really great. I bought a book from Forum Books Corbridge, Northumberland where they wrap books up in brown paper with a tiny teaser on a tag and you buy it as a 'Blind Date' book. It seems a sort of similar idea!!! I've not read ANY of those authors!! !